So moving on to the next session, which is ”Spirituality: A Compass for Business”. This is going to be a very interesting session again. 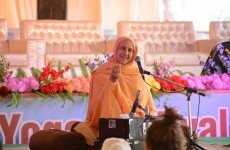 We have His Holiness Radhanath Swami Maharaj. We have Dr. Ajay Piramal, Mr. Ashish Chauhan and the session is going to get coordinated by, moderated by Mr. Shrijeet Mishra. So if I could please ask the panelist to kindly come up to the stage. 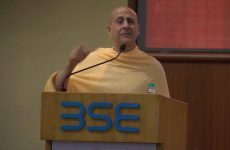 You have already heard from His holiness (Radhanath Swami) and Ajay Piramal in the morning. So I will very quickly introduce Shrijeet, the moderator and Mr. Ashish Chauhan while you are all taking your seats. So Shrijeet is the Chief Operating Officer and the Executive Director on the board of Bernard and Coleman. In addition to his role in publishing business, Shrijeet also oversees Bernard Coleman television interests and new ventures. He joined this venture in 2011 after exciting 24 years stint in Unilever, where he was the last fast food business Executive Director. Shrijeet holds an MBA degree from IIM Ahmedabad and an advance management programme from Wharton. He plays active role in key industry associations such as Bombay Chambers, FICCI and CII and ASCI. Very quickly, for Ashish, he has got a very very impressive and long CV but I will try to keep it very short in the interest of time. Ashish currently works as the MD and CEO of BSE and the first stock exchange of India and as many of you would know, BSE is ranked as the largest exchange in the world in terms of number of stocks listed and Ashish runs that show. Ashish was given the distinguished alumunus award for the year 2014 by his aluminate IIT Bombay and also received the Best CEO in the financial market in the Asian Pacific by the Asian Bankers. Ashish is also best known as the father of modern derivatives in India and he was a part of small team that initially set up NSE which you know has achieved many many milestones over the last several years. At BSE, he has been responsible to bring the fastest trading system in India within 200 micro seconds response time amongst any other achievement. Ashish is considered also as one of the India’s foremost experts in financial market policies, micro structure technology, retail, telecom and Indian social issues amongst other things. He and his writings have been widely quoted in various magazines, newspaper and the other media over the last two decades. So, with that I will leave the session with Shrijeet for an interesting session. So, ladies and gentlemen, request you to put your hands together for the panel and look forward to an interesting session. Mr. Shrijeet Mishra: Thank you Artha for this opportunity. First of all this experience, has been a very, very wonderful experience. I am honored to be here. It has been rich and full of learning for me. What I take back in these eight hours is absolute happiness and learning from all that I have heard since morning. Thank you very much. What can I say, it’s also an honor to have a panel like, the panel that is here. So I will try and do justice, to try and say what questions I can ask. Well today, it’s a world. It’s very, very volatile, uncertain, ambiguous and complex. In this world, what certainly happening is stress and strain are going up. Organizations are going through stresses, individuals are going through stresses, youngsters are looking for their passions, they take much longer to join an organization. They are looking for a fit with the organization, the kind of job that they do. It’s no longer that it is an organization that is available and youngster would join. So there is lot that’s happening in the context that we have. In this situation, many people and organizations are finding that there is more to life, then just business or profits. And in this context my first question is to Ajay you. In today’s context for most businesses, really it is very important to get to profits; but spirituality is given a bit of a second rung. Do you think they are mutually exclusive? And I just want to understand if they are not, at what point in your life, did this make the change? Mr. Ajay Piramal: So in my humble opinion, spirituality is a way of life. So how can you separate if business most of your life? You cannot separate it! In the environment today, where you have people from very different faiths working with us. We have people in different countries. We have more than 2000 people working in the United States itself, for instance. We have people working in every country, I mean more than 100 countries. Yet some basic principles I think for mankind remain the same and we for instance have as our values, which everybody has to live by, and we have to work in the business is knowledge, action and care, which is actually jnana, karma and bhakti and we found that when we put these values across to people across the world, they all have… they can relate to it. It is in some ways embarrassing, I think all faiths and yet it is… actually the basis is from Vedic scriptures. But it is so universal. And when people have this as a base, I find that they connect better and they want to work with you. So it’s not only people today and not only looking for just mere a monitory compensation, but they want to work in an environment which is value-based because they feel… basic human nature I think wants to live by values. Sometimes, we get diverted but I think all basically… at the root I think feel that all of us are value driven. And that’s what we try to do. Mr. Shrijeet Mishra: Thank you. Ashish, in your case, do you think that it is mutually exclusive? Is there a way by which you think spirituality shapes leadership, motivates people? What’s your view? Mr. Ashish Chauhan: I think, I agree with Ajay completely, that basically all of us have to combine both. In a sense, we live life right and in some sense, spirituality, the business, the family, friends – everything is a part of the same whole. So if you don’t have balance in one, you have imbalances in other also. So effectively, it’s a very strange thing. And somewhere, if you look back at what I call recent Indian history, the questions themselves also look like more from a perspective of a kind of Christians, where they have separated the religion, the spirituality from day-to-day life and that came into our elites because most of them studied in convent schools and so it is kind of they read Brighton and P. G. Wodehouse stuff, but many of us who come from vernacular, we don’t even see any kind of dilemma at all. It’s a one continuous whole and most of us want to connect our life and make a meaning within the context we are in, not in the context 18th century England or so on and so forth. But our names Arjuna or Bhima or Sankaracharya or Shiva, I mean, these are stuffs we grew up with. And we were thought that this is kind of different, or it’s something where you come out of home and go to office, you have a kind of shut off your other side of life. We continue to live the same life and that’s what most of India is I think. Mr. Shrijeet Mishra: Thank you. Swamiji (Radhanath Swami), a small question for you. You know the organizations today are becoming heterogeneous. In the sense, there are lots of people who are Indians, there are non-Indians, there are people from different religious backgrounds, there are people from different backgrounds that come and work in a country. It happens in any country in this world today. And we are seeing perhaps in many cases, the religion beginning to creep in into this angle as well. And people become a little more restless of each other. The question specifically to you in that in an organizational context, does spirituality and religion go hand-in-hand? How do you balance the difference and practices and the diversity that people have? Radhanath Swami: In previous generations, religions, races were very much in different countries, different sections of the world. But today everything is more integrated than ever before. And this type of social merging brings about challenges and opportunities. The challenge is there’s so much reason for conflict; the opportunity is to understand that now we have a necessity to appreciate unity in diversity. Hindu, Muslim, Christian, Jew, Jain, Sikh, Parsi, Agnostic, Atheist – what is the essence? Where is the unity in the diversity? In my own life, I am from America, which is called a melting pot, because the only actual indigenous Americans are the American Indians. Everyone in power in America came mostly in pursuit of religious freedom or social freedom because they were being persecuted in other countries. I saw in America, of the various religions, so much sectarianism. In each religion there is a sector of people, who truly believe that they have monopoly over God and the kingdom of God. And each one has scriptures and tradition and saints to support the conclusions. I saw so much hate in the name of a God that everyone considered to be loving. So I came to a crossroads in my life – either I have to totally reject all religion, or I have to find that there is a common essence within all of them. And from the core of my soul I believed that there was a common essence within all of them. And it is there – to love God and to neighbor as yourself is the basis of every true spiritual tradition. And when we actually in today’s world in business… Recently, I spoke at the HSBC Bank on this very point because they have so many people, of so many races and so many nationalities, and so many religions working in same office. How do they work together? I gave an example. They gave me this garland or mala and it had about ten different flowers on it. They were roses, and there were gardenias, and so many flowers – different colors, different textures, different fragrances. But when they have a common thread, they create something beautiful. And it’s very, very important for the leaders of society – religious leaders, business leaders, media leaders – to actually enlighten people in the common thread that we all have in common. Just a couple weeks ago, I spoke at the Oxford Union in a debate – whether extremism justified… whether extremism in defensive liberty was a vice or not. If we approach this subject from the perspective of being an American or Indian or a Hindu or Muslim or Christian, we are going to have a particular perspective. If we approach it as a human beings, then we see what we all have in common. And if we approach it as eternal souls, living beings, who are all part of the same God, then we can really appreciate unity in diversity. And I believe in today’s world, this is one of the greatest needs for leaders in all fields of life to enlighten the people about our unity on a spiritual basis. 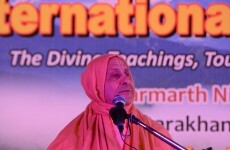 Mr. Shrijeet Mishra: Thank you Swamiji (Radhanath Swami). It was really a… It’s about allowing the human in the human being to come out, its allowing the God in each one of us to come out. The question I would like to ask next is to you, in the definition of spirituality could vary from… And I have heard people talk about spirituality in business. I have been lucky to work in two organizations – my current organization of Times of India and Unilever, where I worked 24 years – to understand the importance of spirituality in business. But the definition of spirituality in business differs. In some… To some people, it is about personal values, to some it’s about treating people and co-workers and employees in a responsible, caring way, and for some others, it’s about making the business socially responsible. The concept of triple business line is well-known – it’s not just profits; it’s about values, ethics; it’s about people, planet and profits. Just wanted to understand your view as to how you have defined it for your organization. Mr. Ajay Piramal: We have not defined spirituality, but we have defined what are our values, and what is the purpose of our organization. So let me just talk a little bit first of our purpose. So we believe that we, our purpose is doing well, and doing good, and making a difference in the world around us by living our values. So what are we saying? It is not doing well whatever we do, whether it is a CSR activity or whether it is a business, we have to do well in it. So we have to try and achieve what is the best we can. Even if it is a CSR, let’s say, and also it has to do good. So whatever activity that we are doing, it also has to contribute to being good. So, for instance if you are making drugs, we are saying that it is an activity which is alleviating human suffering. And therefore their purpose is to do well and to do good. And then we say that making a positive difference to the world around us. Again in that we say that human beings are the only living creatures you get… As they say, a human life after millions of birth, so many other living organisms, you get into a human birth and therefore and we have the ability to make a difference in the world around us. So that’s what we want to do. And finally living our values. As I said our values are knowledge, action and care. So what does knowledge mean? Knowledge means that whatever we are doing we should have expertise in that and we should develop expertise in the business that we are doing, or in the activity that we are doing. We should have innovation, because that’s the only way you can actually survive in a competitive environment, is to become innovative and continuously change. When we talk about action, we talk about being decisive, taking decisive action and of being an entrepreneur. And when we talk about care, we talk about trusteeship and that’s really the concept from Gita, which talks about how nothing… Maharaj (Radhanath Swami) spoke about it in the morning today that we are mere caretakers of the wealth that is, so we have to act as a trustees for all our stakeholders, and we have to have humanity and compassion. So, that’s how we try to weave in whatever knowledge that is there in the scriptures for us. Mr. Shrijeet Mishra: Ashish, would you like to share the same question and answer for the same question? Mr. Ashish Chauhan: It is and it is not. So for me the conscience, the person’s own sort of, can you answer yourself what you have done is very, very important. Then recently, I asked the question saying, what is important, I mean there are four aspects to life in our scriptures – dharma, artha, kama, moksha. So which one is important? And all four have to be in balance. It cannot be you have only dharma, but if you don’t have artha then you don’t have dharma also. You require artha to do the dharma. But if you don’t have ichha, then you don’t have artha also. And of course, moksha will not come without dharma. So, all these things have to be in balance. And in personal life also, if you have imbalances, that comes out in your sort of official life or function life. The other issue which especially we, public servants, continue to do is juggle with – something which private sector also does – is that something is morally right, but legally not allowed; or morally sort of allowed, but legally not allowed. What do you do? For example, I will give you sort of small stuff. Twenty years back, import of gold was not allowed in India. But morally everyone thinks gold is not an illegal thing or immoral thing to have, right. So what happens, it’s called, in a standard jargon of MBA, it’s called de facto vs. de jure in legal stuff. But effectively something is morally not wrong, but legally wrong, what do you do? And something is morally wrong, but legally allowed, what do you do? For example, in stock market itself, the companies do a lot of things which are legally allowed, but it sometimes helps the promoters of the company, but affects the other shareholders of the company, what happens? And legally it is allowed. Now lot of people call me up, even media and there are 6-7 channels, which keep on commenting on us 247. And of course, so many news channels and newspapers that somebody mentioned about, so many lakhs and crores. So every decision an entrepreneur takes rightly, wrongly. And if it is legally allowed, how can I stop? If I tell him, if I give him advice and if he doesn’t take it, what happens to that? So those are the dilemmas we face, but effectively if you are clear in our mind that what is adding value to the society, you sort of do it yourself, tell others to do and what is taking away the value from the society, you don’t do it at least yourself and if you can influence others, very good. Mr. Shrijeet Mishra: Ashish, thank you. 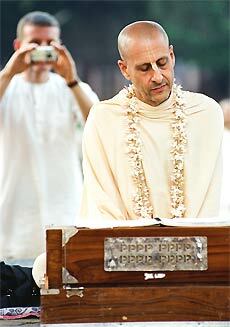 Swamiji (Radhanath Swami), we heard you say, it’s important to be in the world, not of the world. In this discussion, as you balance the spirituality and the business, how do you think we can achieve it? How do you think we can achieve this in the current context? 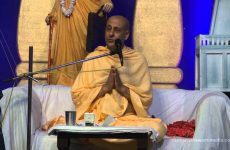 Radhanath Swami: In our tradition, we have three very important principles to spiritualize our lives, satsang, sadhana and sadachar. 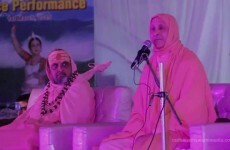 Satsang means when we associate with people who influence us spiritually, who enlighten us, who inspire us. That gives us the way and also the hope that I could do it. Ashish and Ajay, when we see that they are living with spiritual principles and still very successful in what they are doing in their lives, to the common people, it gives hope – if they can do it, I could do it. Bhagavat Gita tells that what leaders in society on every level exemplify, that’s what the common people will follow. So we need such leaders and satsang, association with like-minded people, who enlighten us, encourage us, inspire us with wisdom and example is crucial for our own spiritual lives. Sadhana means our own spiritual practice. When we have that satsang with sadhus or saintly people, then we are inspired, that yes there is a need for me to purify myself. There is something more than just grabbing more and more things to call my own. There is something more substantial and valuable in life than just enjoying my mind and senses. There are real values. I am a divine person, a part of God, so when we have that faith, we perform sadhana, which means our own spiritual practice, put some time aside every day. We chant God’s names, meditation, prayer to actually make that connection, to tune in to that divine principle within us. And then there is sadhachar which means our character, the example in which we live our life. And if we have this foundation of enlightening association, a spiritual practice to tune us in to this higher power and the will to live by these principles, then yes, each and every one of us has the power to be in this world, but not of this world. 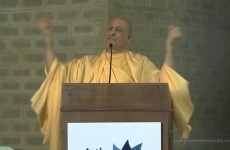 Mr. Shrijeet Mishra: Thank you Swamiji (Radhanath Swami), thank you again, thank you so much. Ashish to you, a major effort that is going on in the world today is to look at socially responsible investment. And more than me I am sure you are aware of many such indices, financially indices that are coming up in the world that tracks performance and social responsibility together. How quickly do you think can it happen in India? And is it happening? And how quickly can it come to India? Mr. Ashish Chauhan: It’s a common theme across the world and BSE itself has two indices. Our indices are managed by Standard & Poor’s and BSE jointly. It’s called S&P BSE Green Index called GREENEX, there is one index called CARBONEX, this is about carbon usage and stuff like that. But recently in 2013, the Parliament of India passed an interesting legislation called Indian Companies Act 2013. We had a Companies Act, which was called Indian Companies Act 1956, and then there was an Indian Companies Act which was first set up in 1850. So 1850 and 1956 and then you have 2013. In 2013, there is an interesting aspect of it, which is basically saying that companies above a particular size in profits need to spend at least 2% of their profits for corporate social responsibility (CSR) and it is a compulsory activity they need to do. And that’s a phenomenal change. For me, corporates are basically artificial entities, humans are natural entities – we are born and stuff like that. Even animals are natural entities. The corporates come out of the social contract. They come out and they exist because we all agree that they exist as a society. And each time even a natural entity has to justify its existence. But the artificial entities have to justify their existence even more, because if they add value to the society, they are allowed to remain there and if they don’t, then they can be stopped. And corporates have been a cause of great good over the last six hundred years, since they were set up first time; limited liability companies are not very old, they are very new in a sense of human history. And they have been cause of great bad also. If you remember the East India Company, which came to India and subjugated India. So they have been cause for great bad, and they have been cause for great good. And most of the modern life has been made possible because of the corporates and the way they could organize people, including Mr. Piramal, that normal life today, where most people are in the middle class at least in developed countries. Even in India lot of people have come into middle classes because of the work that corporates have done and so at the same time society has become more aware and more demanding of that justification they need from the corporate. And earlier twenty years back, when I used to debate corporates and corporate governance and sustainability, it was about shareholder protection, minority shareholder protection. Today, we talk about sustainability. That minority shareholder protection issue is still there but in a minor way. Many of the issues have been resolved. Now we worry about other stakeholders that includes government, society at large, environment and so on and so forth. So in a sense, this corporate social responsibility is very new. First time in the world, India has done it. Many people think it’s not necessary to do that because corporates are ultimately, they can make guns, make profits and then do little bit charity. So, that was the perspective. But today India, the New India, new Indians – because large part of India is very young; 50% of India is below age 25. And they have a lot of expectations from their own society, but also from the corporates. And this is an interesting perspective that first time a developing country has made corporate social responsibility compulsory. When I go to many parts of the world, they totally get freaked out. Even in India many of us, who have not kind of justified it in our minds, rationalized in our minds, we still think, it’s not a great idea, let corporates do the profits-making and then sometimes they can also… When you… Warren Buffet, makes huge sums, sometimes he can donate it and he can feel happy about it. But otherwise don’t mix them too, because they kind of don’t go together. For me both go together. Now whether 2% is correct, 1% is correct, there is some other way to do it. But unless corporates continue to justify to the newer and emerging realities of expectations by young Indian, they will not get that acceptability and then if they are not accepted, then continual questions will be asked on their existence and that’s why they need to continue to do more and more and for me even off course Ajay is the doyen of the industry, I’m very, very young compared to him, so he will have probably much more evolved views on this. Mr. Shrijeet Mishra: This is about saying that indices, there are indices yesterday, that tracks performance which is not just financial, but also, if I may use the word, socially responsible, ethical. We don’t have it yet in this country, yes, I mean there are some indices that are doing it, but it’s not being as the social responsible movement in the rest of the world has moved, we have moved 2% that he is talking about. Just wanted to understand what’s your view if such a movement comes in India? Mr. Ajay Piramal: So I think certain things they are good if you have an index because will have a look at it. I don’t think they affect the valuations of companies. I haven’t seen these indices affecting stock valuation. Mr. Shrijeet Mishra: Abroad they do. Mr. Ajay Piramal: Abroad also its marginal, some people, there are small group of investors, who really believe in it, overall it’s not. It’s more when the when the media pressure comes in and all that, which is in a way good. You need balance in society. You need to have balance and counter balance. So, I think its good. Frankly, business over all if you look at it, ever since the modern business has started, business has contributed significantly for, as Ashish said, for the well-being of the society. You know, just think of it, I was just reading somewhere. Modern medicines, from 1970s only till now, in the last 40 years, the life span of Indians has gone up 20 years only because of modern medicine. Take an invention like toothpaste in the modern world; it is because of toothpaste that people’s lives have gone up. It is such a simple thing that you take because earlier people would not brush their teeth properly and therefore they would die early. So in every sphere actually business has contributed to the well-being of people, I mean we look at industries, you look at here all the… even in an eco-village, we still need electricity. And all this has become because of the innovation that’s taken place by business. So there is a contribution. I think we need to always balance. Sometimes greed overwhelms everything else. When you have greed you destroy let’s say the whole environment, you don’t care for the people around you. I think there needs to be balance in that, and to that extent it’s good. Whether we need a CSR or not, I don’t know because frankly now organizations, yeah it’s the way we did business even before, nothing has changed since the CSR has come in. In fact I have heard both views. Some people are misusing this, on the other hand, I know that there are many organizations that I am involved with and including in our mid-day meals, we are now getting more funds because people want to give to good organizations. So it is mixed. Mr. Shrijeet Mishra: I think, just coming to you, I think, there is a clear mixed view also on this 2% because that is a view that if you hang, it will keep CSR outside the main business, it can be explained away and today the law allows it to be explained away. Unfortunately, if I say it was almost kind of that becomes a part of your business like you said, then the reason for doing it would be the reason for your business. And then it becomes the real purpose of a business. Doing well by doing good becomes the purpose of the business. In Unilever where I worked, it was all about what is right for India is right for Unilever. And therefore from our perspective, whether it was hand wash, or it was toothpaste, or a hair wash, or was a skin cleansing, it was a part of saying, it was all about something you make a difference in a small ways to people’s lives. Sorry to pull your question. A lady from the audience: Shrijeet, I think you have been asking most of the questions. And I know you had a very unusual – unusual for most of us here – an unusual childhood and upbringing in a small village of Odisha, and in the shelter of Lord Jagannath, in the land of Lord Jagannath. 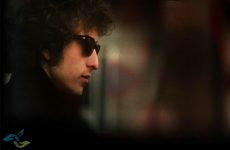 And I know spirituality has been a compass all your life. So, I would request before we wind up, we would like to hear from you about that. So you can say it now or later. Mr. Shrijeet Mishra: I will, but I think there is an announcement that Ashish wants to make. I think it’s an important one, let’s hear it. Mr. Ashish Chauhan: Thank you, since you talked about CSR, BSE is going to set up a CSR action. So I wanted to make it in the presence of Swamiji (Radhanath Swami) and Ajay. So basically all NGOs including everyone sitting here, we can basically register ourselves and the corporates who want to also put in funds can register and then we will match and also we will give details of the progress being made and so on and so forth. So because we have been all our lives, 140 years of BSE history has been setting up exchanges, so we thought this would be our contribution to the society, and I thought I will make the first announcement in front of this audience. Mr. Shrijeet Mishra: Well, I think it couldn’t have been better than this for the panel to announce this year. Ashish, thank you so much. Just one last question for me before I go and summarize the comment. Ajay, it’s to you. There is also a growing movement of social entrepreneurs and we who create a social benefit corporation and in fact today we heard very similar example of that. You know five or six things that Rajiv talked about just before lunch was an example of that. You heard in the morning people say that can we get the rich people down here, who actually begin to contribute to such things in a bigger way. Do you think this growing movement of social entrepreneurs is the way to go forward, which will make this entire movement come alive? Mr. Ajay Piramal: So I think it’s a good thing that there are so many young people who are willing to take up social entrepreneurship. I think, I mean today I meet many more people who are looking at or doing social entrepreneurship or starting it than ever before. So it’s a good thing. It means also that, you know social entrepreneurship, when young people come in, there is lot of innovation that also takes place. You know the way we progress whether socially or anywhere else, has to be through innovation. How can you do the same thing or how can you find solutions to the problem, than the problems and then new ways of doing it and that’s what some of the brightest people are doing. I think it’s growing and it’s something that we should all support and encourage because I think that’s the way forward. Mr. Shrijeet Mishra: Thank you, I just want to thank the panel for giving us their esteemed views. I would like to summarize by saying that it gives us a great opportunity to do something for the first time. My Guruji had told me once, very early at the age of 20, that ask yourself this question every year: (1) Are you making a mistake? If you are not, you are not growing. But if you are creating the same mistake, there is a problem, and, (2) Are you doing something for the first time? When was the last time, you did something for the first time? I suggest these audiences here ask themselves this question – when was the last time that you did something for the first time? That was the time you change. Here is an opportunity for you to take your business and to take yourself as an individual and your business forward in a very, very ethical balanced manner, allow the human being to come out from inside you, allow the God in you to take over, trust yourself, trust your instinct and let the God take over. God bless and thank you very much. Well, I will just say the two experiences that I’ve. There are many experiences but two recent experiences that have shaped who I have, how I’ve kind of trying to be. One is early in my career, I met a gentleman called Solusen, who I salute as my marketing guru. And you know I was working on a brand called Lifebuoy and I used to wonder what the hell am I doing working on a brand called Lifebuoy? What this soap really do? It’s a soap, hand wash, when you go to a loo you wash your hands with it. What am I doing? And I think the best part of this is, Solu explained this to me that young man, you have a chance to save lives. It is not a soap that you are selling. It’s not a germ-kill proposition that you are living with, you are saving lives. Like you said, Ajay, through hand wash, millions of lives get saved, through simple thing like hand wash. And since then everything that I have done on my brands, in my businesses, with my people, has always been trying to see what’s the larger purpose of what we are trying to do? What are we energizing ourselves to do? And what’s really the larger purpose of this pace? The second was most recent on 26/11, when our entire past, current and future of Hindustan Lever-then was stuck in Taj. And with 30 of us, and what it told me is, it taught me in some very simple ways that there is a hand up there, and if you have survived, there is a reason why you have survived. And if you have, you should find that reason why you have survived, not say that you have just survived. It is not the heroism of how you have survived, it is wanting to look for the reason why you have survived that makes the biggest difference. And I really loved the way, we heard you talk about your experience of the reason why you survived through your life and I think it’s very similar in many ways to understand that. The second thing it taught me is real leaders. People whom I had revered, people who had picked me into the organization called Hindustan Lever, people who… and all the other people who were staff members of Taj and how they conducted themselves, people who survived, who ran in from the other rooms, how they conducted themselves, the real leaders are born during chaos, real leaders are born at the time when there is life and death staring at your face. And to me if you can make every situation simple… I will go back to again a learning that my Guru gave to me – how do you know something is right or wrong? If you can tell it to your mother proudly that you have done something, and it is right; if you can’t, it is wrong. And in again simple rules, if you try and keep your life to commit yourself what you wanted to do, what drives you as an individual, I think we will all come a long way. It has been an absolute brilliant experience and a humbling experience for me. Thank you Swamiji (Radhanath Swami), it’s been so nice to have heard you speak today and to the esteemed panel, thank you for sharing your views and I will look forward to the rest of the sessions. Thank you so much.